In a recent study of the findings from our 2016-2017 and 2017-2018 review of tracking data on Michigan’s mandated public school safety drills, we were pleased to find improvements in timing and safety, and also some areas where schools are paying more attention to even small items that can add up to enhanced, overall security during drills – and actual safety emergencies. Note: Cardiac incident/AED checks are optional, but 10% of school districts in the study do them. The goal of the state in introducing these mandatory drills was ultimately to ensure student safety in a variety of scenarios. 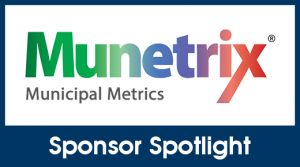 In looking at data from 120 Michigan public school districts that use the Munetrix Public Safety Drill app, the drills are definitely helping to meet this goal. The Munetrix Public Safety Drill app, which can also alert county emergency managers and first responders of an incident, allows for schools to submit feedback on drill results for each particular drill – and as our report shows, the overwhelming majority do. While Michigan Public Act 12 doesn’t require comments, they are an acknowledgement of how seriously school administrators approach these drills. There were a variety of comments noted on the app, including areas for improvement, such as the need to shut doors, keep students quiet and enhance communication among staff, including substitute teachers; but the majority of feedback emphasizes how smoothly the drills went and areas that were improved over previous drills. The overall efficiency of the drill process and efforts noted for improvement are a reflection of the safety-first philosophy of Michigan’s school leaders. It’s a good example of the school community and the state working together for a common goal of student safety. Munetrix is holding a free webinar on Tuesday, January 22, 2019 at 2 p.m. entitled Lessons Learned from Statewide 2018 Public Safety Drills. Register here for the webinar or visit www.munetrix.com. The webinar will also be available for viewing online after January 22. Buzz Brown is the co-founder of Michigan-based Munetrix, among the nation’s largest aggregators of municipal and school district data, promoting municipal wellness and sustainability through its cloud-based data management tools and proprietary performance management applications.